P90X Workouts Work - Burn Belly Fat Now! 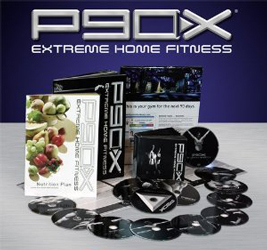 P90X is a quality and proven package of workouts that will help you make significant changes in your body if you adhere to the protocol and make good food choices along the way. Why do these workouts get such good results? * The workouts for the P90X Program continually change and evolve. * The 90-day program is focused on change and an escalation in intensity so that your muscles must continually adapt to new stresses. * To get results, however, you MUST commit to eating like an athlete...meaning, you must make optimal food choices and NOT eat whatever you please. * The P90X Program comes with a great nutrition guide to help you. However, if you can commit to getting sugar foods, and processed foods out of your diet. Snack on fresh fruits, nuts, and lean meats...you should do fine. * There is also a detailed fitness guide to help you get the most from the workouts. Study it and follow it. * Each of the workouts on the DVD's center on a unique training technique or focus on a specific set of muscles. * The backbone of the P90X Program is the concept of interval training workouts. This is how professional athletes train and why they look so ripped. * You do not really need a lot of equipment, your body weight will suffice. However, I always recommend that you invest in a pullup bar, some push up bars, and some dumbbells. These will help accelerate your gains in lean muscle mass. P90X workouts are tough. You must be committed to burning belly fat and increasing lean muscle if you are to be successful. Why do women desire guys with the "Lean Hollywood Look"?